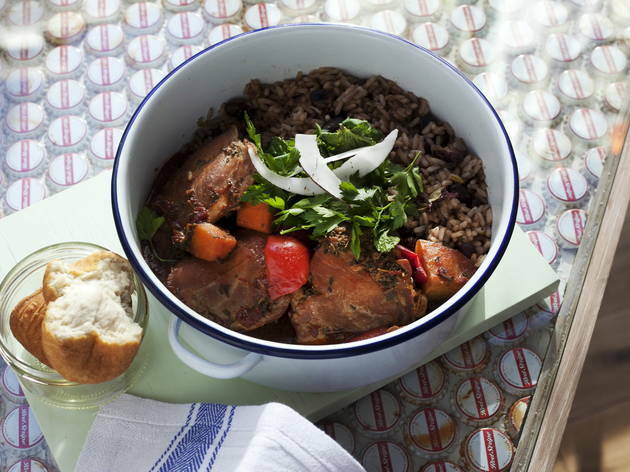 Fragrant, hearty and unpretentious, Caribbean cuisine is a diversely delicious beast – and London’s got an ever-growing spread of super spots across the compass. Whether it’s hot jerk action, grab-and-go patties, or rum-soaked soul-food you’re after – and there’s plenty in-between – you’ll find it all here. 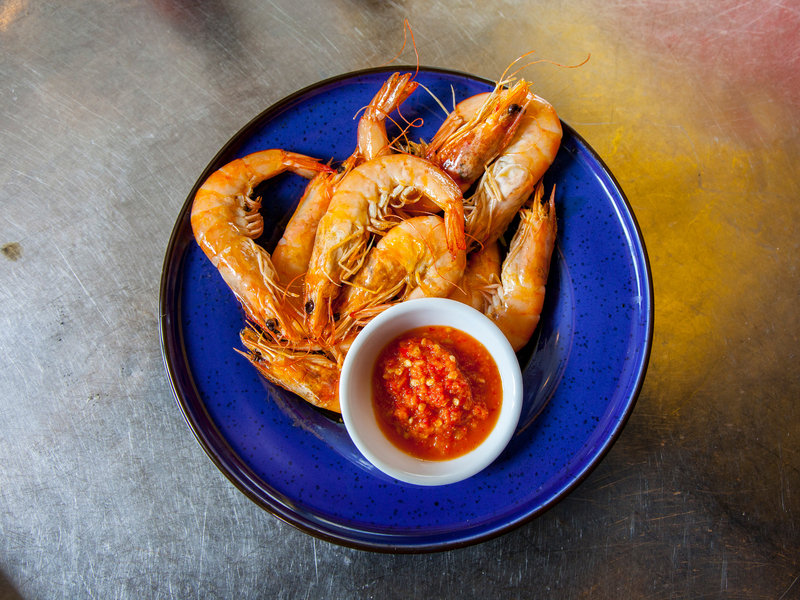 This branch of Cottons adds a touch of refinement to its spicy, authentic offer. Jerk chicken, ackee and saltfish abound, but you can also get a superfood salad, braised pork belly with coconut purée, and stuffed sweet peppers with wild rice and tempura veg. They’re record holders when it comes to rum too. The name is spot on. 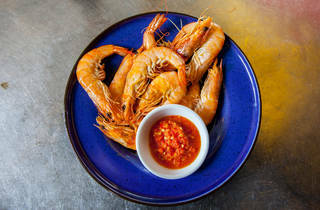 To start there are codfish fritters, jerked-up pepper prawns and kingfish curry with rice ’n’ peas; then come the ‘reggae’ wings, and finally there are loads of ‘tings’ – from goat roti with green mango chutney to oxtail stew. Thirsty? 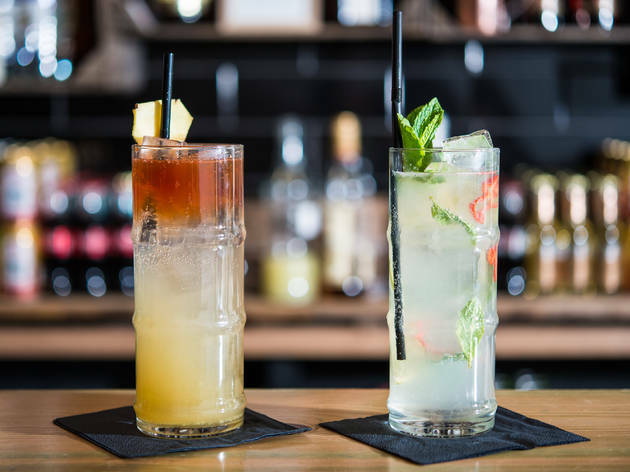 Slam down a Trinidadian beer or a fruity rum punch. ‘Dragon’s Den’ don, reggae bard and bona fide sauce hero Levi Roots is a breath of fresh air in the ‘food personality’ world – and his first restaurant outing doesn’t disappoint. There are better jerk joints in town, but this is a vibrant venue with a quirky menu and gallons of Reggae Reggae Sauce for the taking. 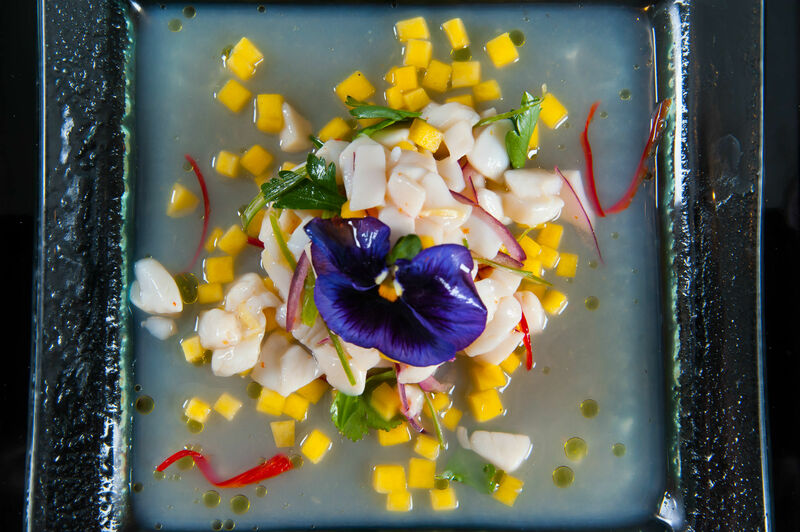 A vivid strip of an eatery, this jaunty ‘jerk pit and reggae bar’ is the perfect warm-up for a boozy night in NW1. 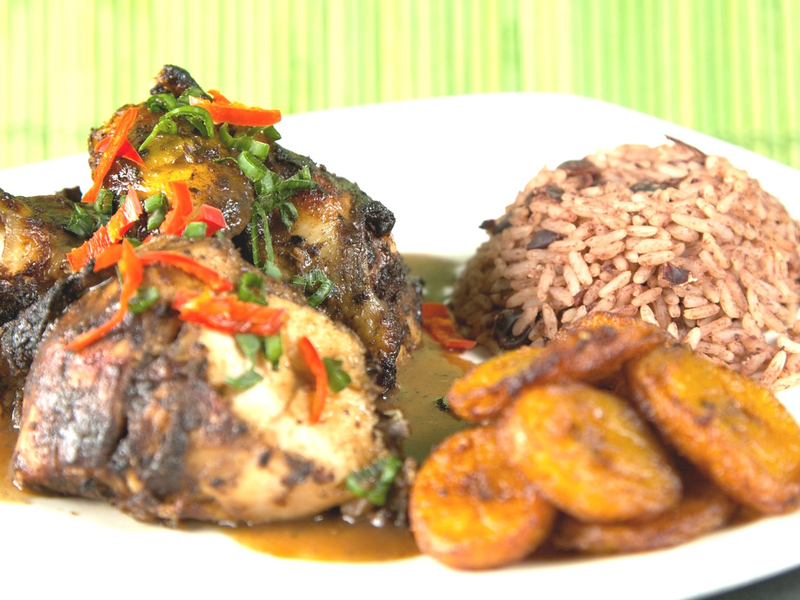 Portions are huge, prices are reasonable, and the menu is peppered with all your usual Caribbean faves – from fritters, dumplings and stews to jerk specialities from the pit and even some non-trad fajitas. 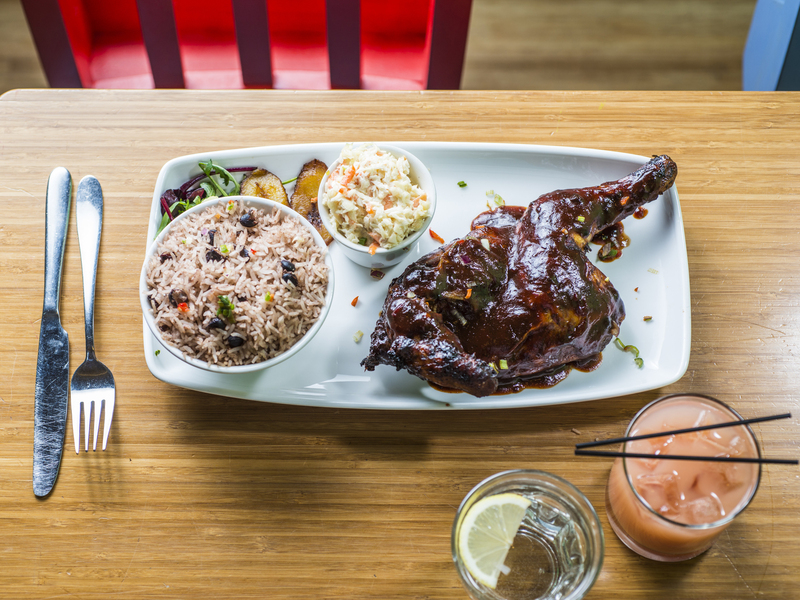 Rhythm Kitchen’s Walthamstow site deals in proper Jamaican cuisine – and that means plenty of char-grilled jerking, plus saltfish fritters, curried goat, BBQ beef ribs, braised oxtail and so on. 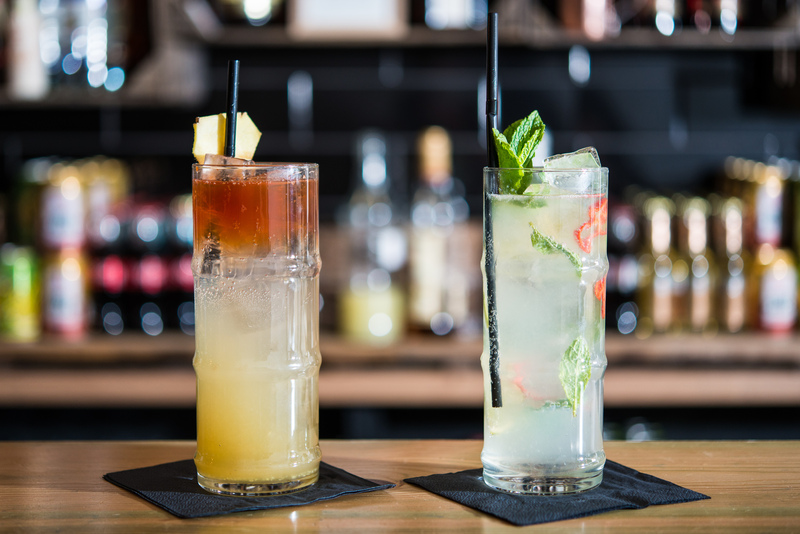 ‘Little jerks’ have their own mini menu, while booze includes 60 rums from around the world. There’s a kiosk at Westfield Stratford too. After enduring reality TV ignominy on ‘The Apprentice’, April Jackson bounced back with this ace little spot on Coldharbour Lane. The menu promises well-priced riffs on the Caribbean standards, and there’s a fully loaded rum bar for the wet stuff. 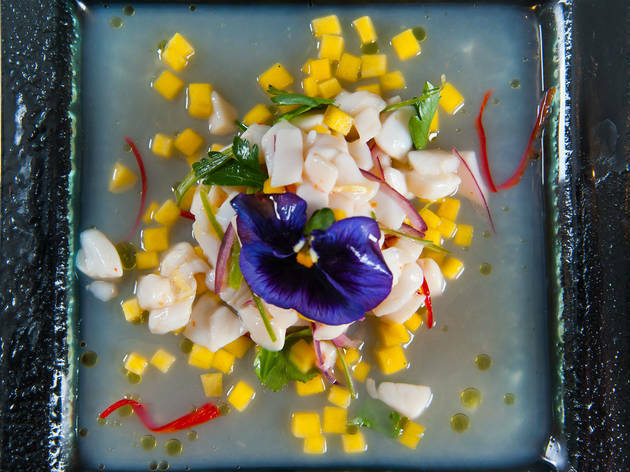 It’s all served up in surroundings as sunny as the eponymous Bob Marley track. Jammin’ stuff. 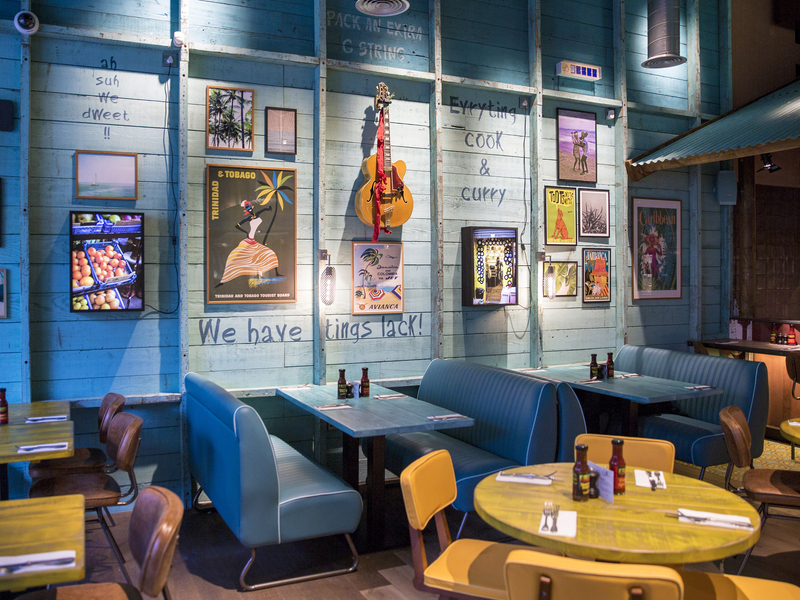 All beach-shack-chic and calypso beats, this was the first London branch of a national Caribbean chain that now has sites in Brixton, Croydon and beyond. TB still does the business, thanks to its high-energy vibe, rum-heavy drinks list and extensive menu of spicy, jerky, coconutty classics. Totally tropical in Ealing! 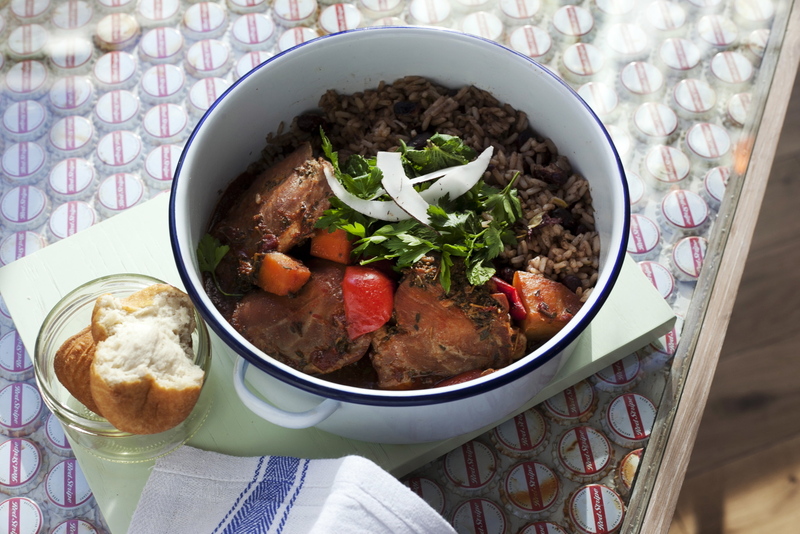 Formerly Café Heath, this teeny, unprepossessing Hackney joint has been doing a banging trade in no-nonsense Caribbean fare since 2013. To eat, expect the classics: jerk pork and chicken, curried goat, chickpeas in coconut milk, plantain, patties… you get the picture. To drink, knock back a Guinness punch. Mare Street never seemed so sunny.